The militants three times breached the ceasefire in the antiterrorist operation (ATO) zone. Over the past day, pro-Russian militants have launched three attacks against the positions of the Ukrainian military in Donbas. 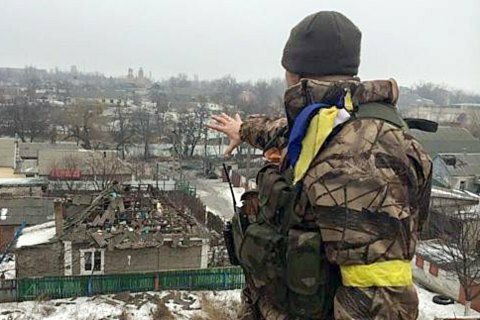 As a result, two Ukrainian soldiers were wounded, the ATO HQ press centre said on Facebook on Wednesday, 10 January. In the Luhansk sector, the separatists used infantry weapons in the area of the Svitlodarsk salient. First, they targeted the defenders of Luhanske with handheld anti-tank grenade launchers and those at Travneve with small arms. In the Donetsk sector, the militants violated the ceasefire in the Sea of Azov coastal area by firing small arms and heavy machine guns. In addition, the enemy fired eight 82-mm mortar bombs at ATO strongholds near Pavlopil. Earlier, the permanent representative of Ukraine to the UN, Volodymyr Yelchenko, said that the deployment of a UN peacekeeping contingent in Donbas is impossible in the short run.